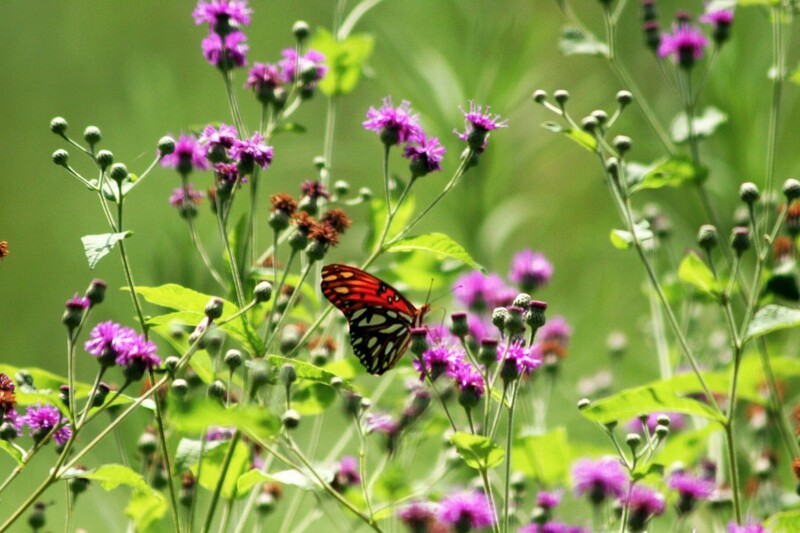 Butterflies in the Houston Arboretum meadow. This summer, we have been talking about and sharing native wildflowers that you can find growing in Houston and southeast Texas. Check out our summer picks below and check back as the list keeps growing! This native blue-berried shrub has tiny, white bell shaped flowers. Although somewhat small and seedy, its berries are edible and can be a sweet snack packed with antioxidants. 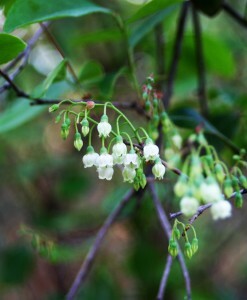 This shrub is the tallest of the blueberries and is often called a huckleberry. Interesting facts: The farkleberry is the larval host plant for the Henreys Elfun and Striped Hairstreak butterflies. Growing it at home: This native shrub thrives in our climate. It requires a medium quantity of water, dry soil, and prefers partial shade. You can grow this in rocky, sandy and loamy soils. 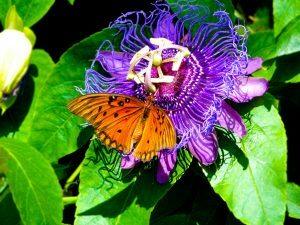 The Passionflower, often called the Maypop, is a beautiful and intricate native flower that you can find blooming in Texas from early spring to late fall. It has a yellow-orange fruit that is loved by birds and once was consumed by indigenous people. Since wild Passionflower is fairly rare, and only the clear goo inside the fruit is edible, it is best left for the birds to eat. Interesting facts: This beautiful vine is the larval host plant of the Gulf Coast Fritillary butterfly. You can sometimes see the spiny orange caterpillars feeding on the leaves! Growing it at home: Passionflower likes a low water, and full sun to part shade. It likes to climb and creep so give it a nice trellis, fence or wall to climb on. It also grows well in a meadow setting. It is heat tolerant, and prefers rich loams and sands. Frogfruit makes an excellent evergreen groundcover and a charming addition to hanging baskets. This attractive flower can also tolerate drought and flooding! Interesting facts: Frogfruit is a great nectar plant for butterflies and is the larval host plant for the Phaon Crescentspot, Buckeye, and White Peacock butterflies. Growing it at home: Frogfruit likes low to medium amounts of water, it should not require much additional watering besides normal rain. It prefers a sunny location and can thrive in most soil types. The Swamp rosemallow is a large wetland flower that likes very wet soils. 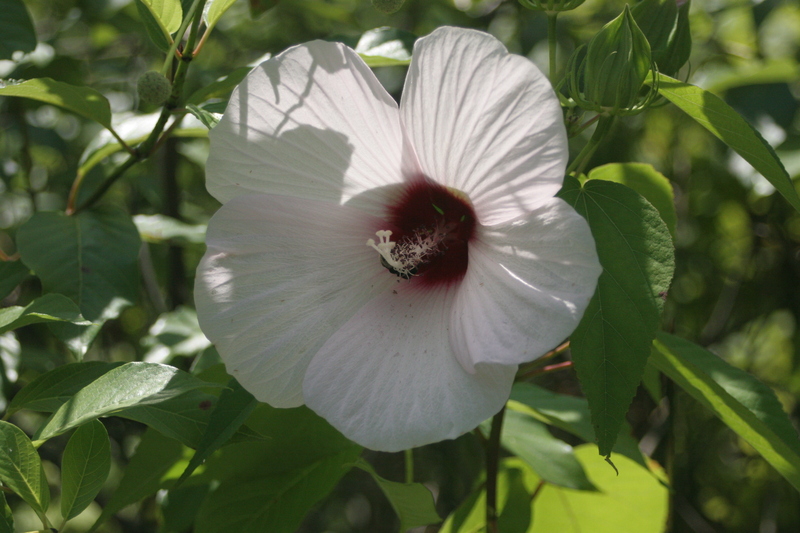 You can find the Swamp rosemallow at the Arboretum along the swamp on our R.A. Vines Trail. It attracts lot of pollinators including bees and butterflies. Interesting facts: the swamp rosemallow’s flowers also come in red and pink. This plant is a type of hibiscus, one species of hibiscus produces the edible fruit called okra. Growing it at home: This plant prefers partial shade in a wet and swampy area. 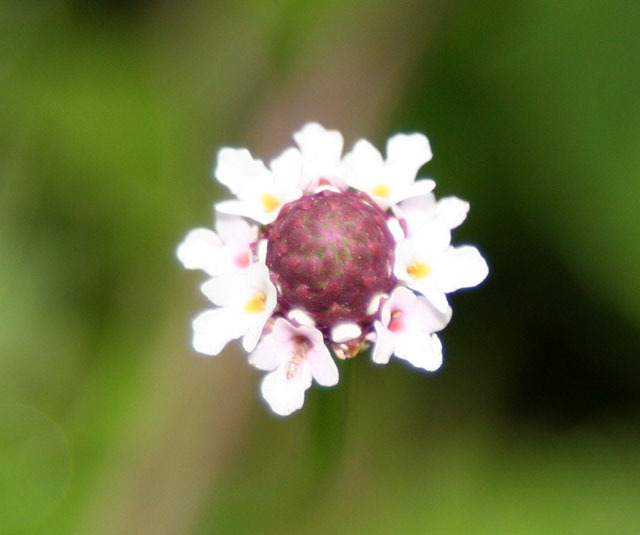 It grows in ditches in front of homes and along highways, and other wet open areas. If you have a swampy area at your house, this is a great addition to bring in some flowers and some pollinators. Bees and butterflies love it. 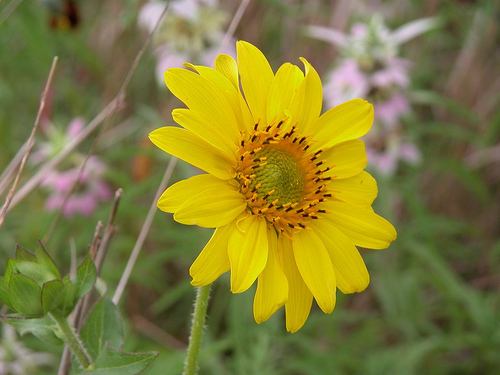 This bright yellow flower is native to the Houston area and will bloom from July – October. It is considered of special value to native bees and pollinators and makes a great background accent in local gardens. Growing it at home: the rosinweed likes dry soil and full sun. It appreciates good drainage but is tolerant of a variety of soils from sandy to clay.